Yet, some still do. Justin Kostick, the coach at Arkansas State, speculated that some voters in February displaced Nebraska from the No. 1 ranking out of jealousy. Or, Kostick said, they disapprove of Straub’s methods, finding them too rigid. Early in his coaching career, Straub said, he heard a rival coach disparage the Huskers by saying that they weren’t that good — they just don’t miss spares. One of the best compliments he ever received, he said. That consistency can unnerve opponents. It also enhances Nebraska’s mystique. 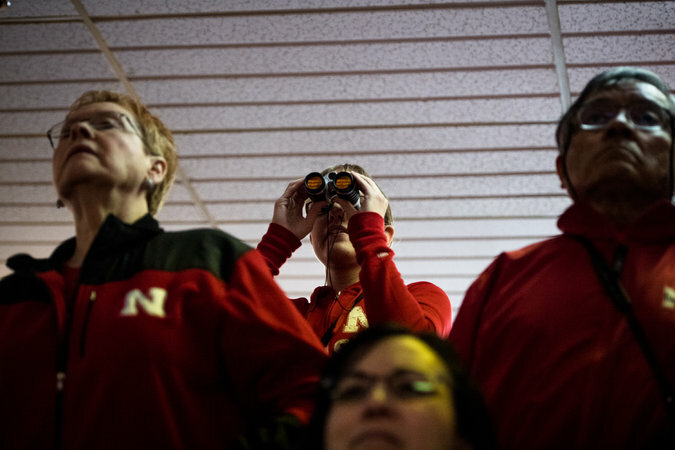 Marikate Zabierek used binoculars to watch her sister, Briana Zabierek, a senior from Illinois, compete on the final day of the Big Red Invitational.